Everything we need to fulfill our purpose. Everything you need to discover yours. Our academic classrooms are intentionally small in order to facilitate our belief in interactive, personalized instruction. Every room is wired for network access, and our wireless network continues to grow campus wide. Heath S. Clark Hall houses six well-equipped laboratories for scientific research and experimentation, the Stephen C. Rogers Fine Arts Center caters to the fine and performing arts, and the John A. Pidgeon Library is renowned throughout the state for its information services. Kiski opened its Innovation Lab in Heath Hall in 2015. The 1,000 square foot Makerspace provides tools for real-world, experiential learning. The Innovation Lab is rich with technology and tools including a 3D printer, laser cutter, CNC router, Sprout HP computers, green screen, a large format poster printer, band saw, drill press, and a full complement of tools, benches, and workspaces. Six dormitories, each housing at least one faculty family, accommodate all of our students and offer Internet access to each boy from his room. The Swank Student Center also features a snack bar, laundry facilities, and the bookstore. The new $8.3 million Ross Athletic Center was completed in October 2015. The 75,000 square foot athletic center includes a multi-use indoor training center, known as the MUG. This gym is used for training on those days of unfortunate Western Pennsylvania weather for soccer, lacrosse, tennis, and baseball. The new weight and cardio training rooms are complete with new weights and equipment. In addition, there has been a total renovation of the existing basketball, wrestling, and swimming areas. The Ross Athletic Center houses athletic department offices and meeting rooms and features major upgrades to locker rooms, storage areas, as well as a satellite bookstore and concession stand. 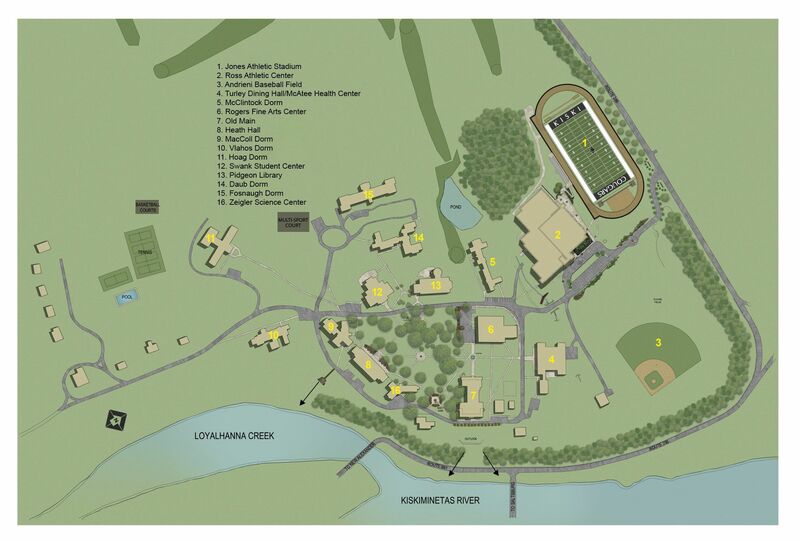 The campus also features several fields for football, soccer, baseball, and lacrosse; a nine-hole golf course; a 400-meter state-of-the-art, all-weather track; five all-weather tennis courts; and an outdoor swimming pool.